This post gives links to freely-available versions of the suttas included in Bhikkhu Bodhi's book. More details of this excellent book, and the Introuction for each chapter, are available at Wisdom Publications. You can read some of of it at Amazon and Google Books. Links to Sutta Central (SC) will lead you to translations. That site also gives you direct access to the Pali version, and gives links to parallels from other Canons. These links are mostly to Sutta Central (SC) itself (http://suttacentral.net/), Access to Insight (ATI) and Metta Net (http://www.metta.lk/tipitaka/index.html. 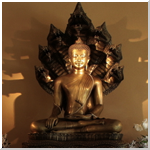 However, there are some other sources, includent Budhist Publication Society (BPS, http://www.bps.lk). Links directly to Access to Insight (ATI) are also given in some cases where the links from Sutta Central are not yet functional. Of course, you are encouraged to buy the book itself, but these links will give you alternative translations and easy on-line references. Note that there are some numbering differences between different translations of the AN and SN, which may cause some confusion. Note also that at Metta Net the AN an SN suttas are presented in vaggas of about 10 suttas at a time, and you will need to match the Pali name from Sutta Central with the name at Metta Net to locate the particular sutta. Note that there are talks by Bhikkhu Bodhi, base on this book, here[/ulr] or [url=http://www.noblepath.org/audio.html]here (for the second link you will nee to scroll down to find them --- that link was non-functional in late 2018, but will hopefully be back soon). There are bound to be errors in the links. Please report them! 1. Why Does One Enter the Path? 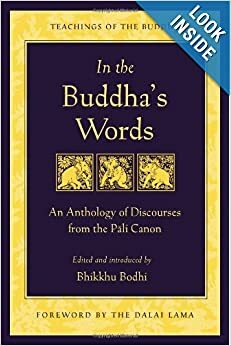 This is an excellent introduction to the Buddha's teachings as put forth in the Sutta Pitaka of the Pali Canon. I would unhesitatingly recommend it to all newcomers to Buddhism. I agree, I think it's the single most useful book that I have. What I've noticed by doing this, and checking the links from Sutta Central, is that quite a large proportion of the suttas in the book have translations on Sutta Central, the vast majority of those by Bhikkhu Bodhi. I think it's great that we have a serious alternative to the Access to Insight and Metta Net translations (though Bhikkhu Bodhi's excellent footnotes are only available if you purchase the book, or the Nikaya volumes). Sutta Central doesn't have the thematic guides that Access to Insight has here: http://www.accesstoinsight.org/index-subject.html and the In the Buddha's Words links are helpful in giving a thematic guide to at least some of the material. I've fixed a few small things. All chapters now have links to Bhikkhu Bodhi's introductory material, which is well worth reading. Please let me know of any errors, or possible enhancements. This is great work thank you Mike. Good place to start. Thanks Mike. Bought this book on your recommendation years ago. I just ordered this book and I'm looking forward to reading it. I plan to buy the other three books, which are the translations of the Connected, Middle Length and Numerical Discourses. I've mostly just read Ven. Thanissaro's translations of the suttas from ATI and don't have much knowledge of Ven. Bodhi's translations. But yes, it truly is wonderful to have all these great Buddhist mind's sharing their knowledge with us. A programming language isn't necessary. Advanced text editors such as Notepad++ have the regex search and replace features you need. Are the links to the suttas in sutta central correct? Th suttas do not seem to correspond to the description given in the link. Some examples. pilgrim wrote: Are the links to the suttas in sutta central correct? Th suttas do not seem to correspond to the description given in the link. Some examples. ... and the translation isn't by Bodhi, "Sister Upalavaṇṇā's translations seem to have been done in great haste and are extremely poor." - Dhammanando http://dhammawheel.com/viewtopic.php?f= ... na#p331010" onclick="window.open(this.href);return false;"
Why not read the free introductions (which are from the book!) and, if you feel grateful, throw some dana Bodhi's way by buying the book? Win-win? Thanks for the feedback. It looks like AN3.35 should be AN3.36 in the numbering system used on Sutta Central (and Bhikkhu Bodhi's new translation of the AN), and I've fixed that. The others link to groups of suttas on mettanet, and you need to search through to find the particular sutta, which sometimes isn't easy. If there are others that have translations on Sutta Central, or link to ATI, that are incorrect, please let me know and I'll fix them.